Reduced fogging of eyewear and an innovative chin tab to improve the ease of fitting. It is foldable which offers you more convenience than traditional cup shaped respirators. 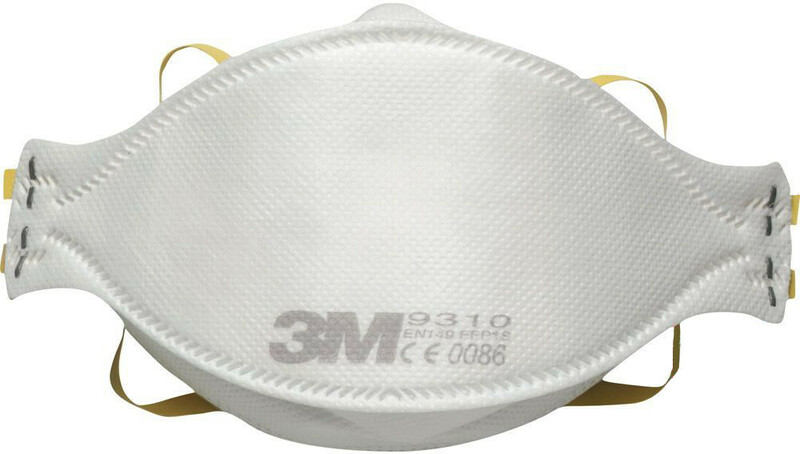 It also provides respiratory protection against low levels of fine dusts and mists. 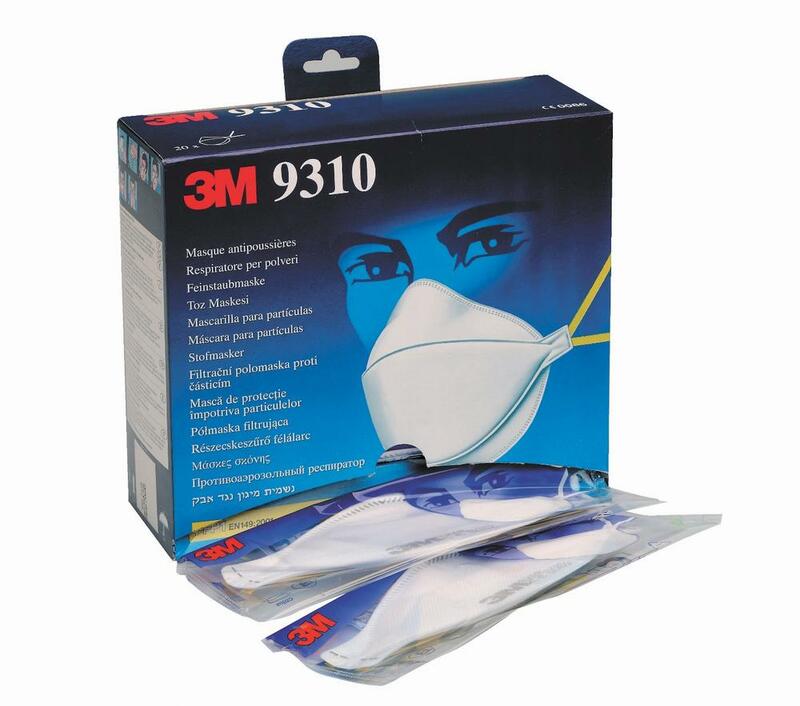 3M 9310 FFP1 Unvalved Dust Mask Respirator conforms to EN149:2001 Safety Standards. Respiratory protective devices. Filtering half masks to protect against particles. 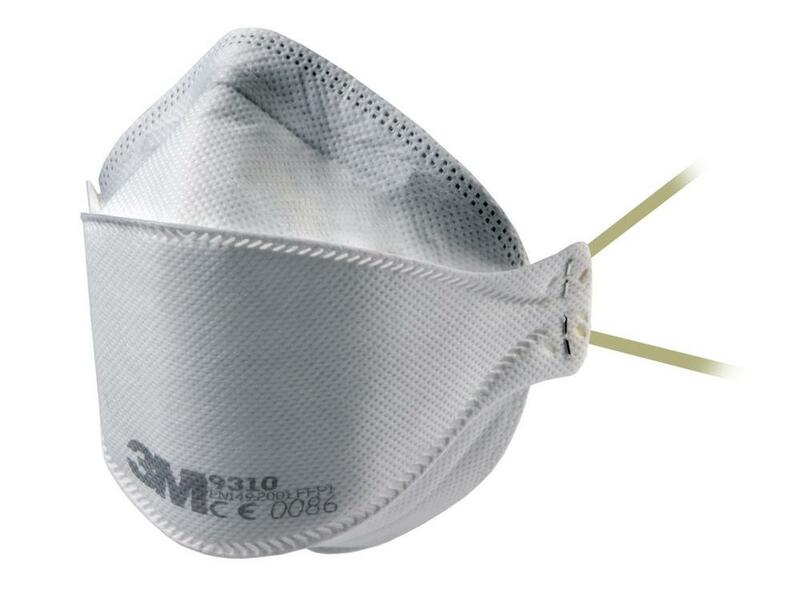 Protection class FFP1 respirator masks offer protection from atoxic and non-fibrogenic kinds of dust. Total leakage may amount to a maximum of 20%-25%.